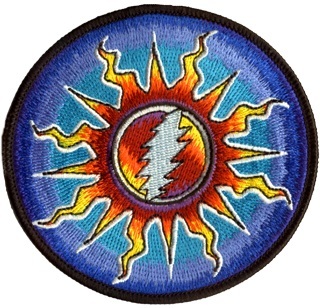 Low Key Grateful Dead embroidered round patch has the sun with a 13 point lightning bolt. It measures approximately 4" round and can be ironed on or sewn on. Officially licensed Grateful Dead merchandise.